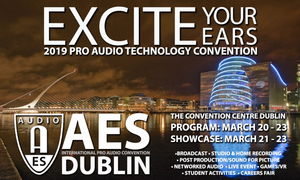 Advance Registration is now open for the 146th International Audio Engineering Society Convention, taking place March 20 – 23 at the Convention Centre in Dublin, Ireland. 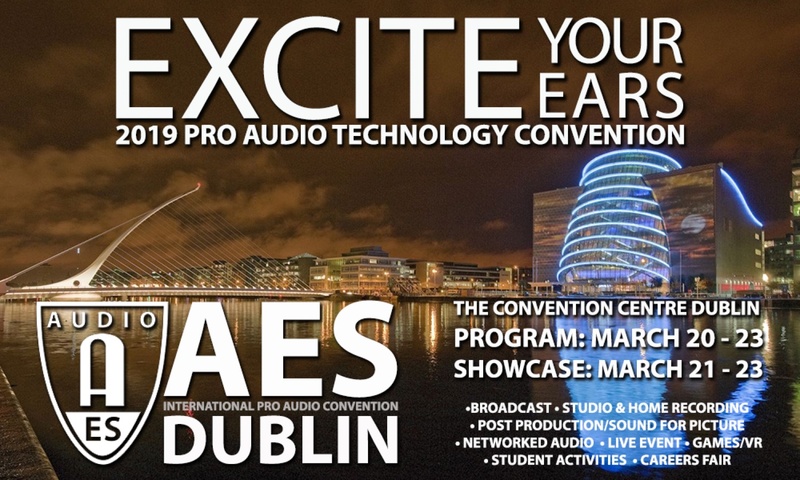 Featuring four days of in-depth Technical Program sessions and events, along with three days of the Product Showcase, AES Dublin is set to exemplify the theme of “Excite Your Ears” with innovative audio engineering educational experiences, networking and more. Attendees have a variety of registration options, including premium one-, two- and four-day All Access badges as well as Product Showcase-only badges, with money-saving Advance Registration rates available for a limited time. Substantial AES Member discounts, with even lower rates for AES Student Members, are available, including free Product Showcase advance online registration for Members.